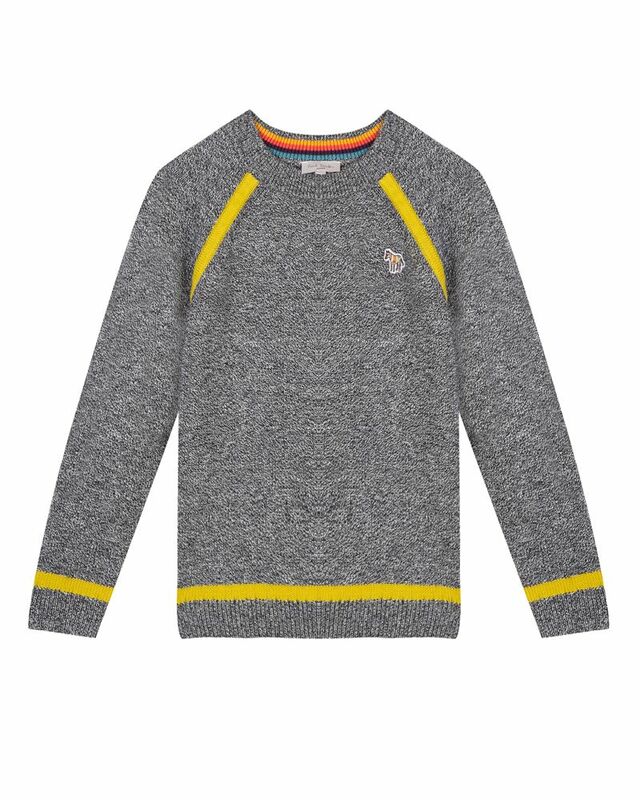 Paul Smith Junior soft cotton black/grey long sleeve sweater with yellow trim detailing. 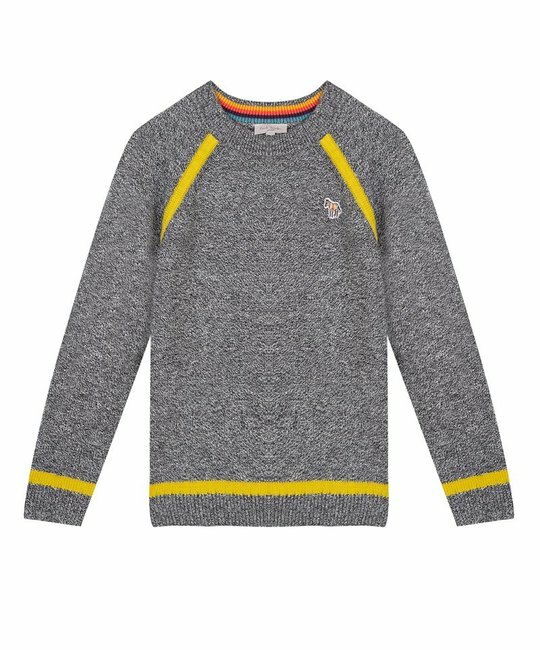 70% Cotton, 30% Wool. Imported.